Once upon a time, when book publishers first decided that there was a wealth of fantastical stories that deserved reprinting, buried in back issues of magazines, our field featured many expert spelunkers of pulp, editors who could delve deep into the substrata of the field and return with forgotten treasures. Groff Conklin and Sam Moskowitz are the two names that top that list, but many other people dabbled in assembling such anthologies. Damon Knight, Robert Silverberg, Isaac Asimov, Fred Pohl, Terry Carr, Donald Wollheim, Robert Hoskins, Judith Merril, August Derleth and others. The late and much-missed Bud Webster made a project of reviewing such classic assemblages, with his essays on the theme collected in a very rewarding volume, Anthopology 101. Nowadays however, with so many of the salient stories already known and excavated, and with much of the primary material digitized and accessible to all (consider the run of Galaxy at Archive.org), the call for such projects seems to have lessened—though Neil Clarke and John Joseph Adams and Jonathan Strahan still do an occasional trawl. That’s a shame, because much of value still remains to be excavated, and there is no substitute for expert curatorial prowess. That’s why we are lucky that a scholar such as Mike Ashley still perseveres, bringing us buried gems that only long hours at the British Library and other troves of moldering paper can still summon up. Ashley’s latest has a very topical theme, given the ongoing interest in colonizing our nearest planetary neighbor. With Mars as a perennial topic of interest in SF, Ashley has a wide assortment of tales from which to select, and he assembles a nice mixed bill of fare, including some essential and well-known items along with some deserving rarities. He kicks off the collection by delimiting his remit to the years 1882 (Schiaparelli’s groundbreaking and sensationalized scientific assessment of Mars) and 1965 (the Mariner probe’s revelations about the planet’s seeming sterility). But then Ashley can’t resist a more complete survey of SF about Mars and provides a long erudite and entertaining essay about Martian-themed tales beyond both those somewhat artificial end posts. Having whetted our appetite, he serves up Wells’s “The Crystal Egg.” We marvel afresh at Wells’s droll humor and insight into human nature, and also realize that his crystal egg that provides surreal glimpse of Martian society is quintessentially Lovecraftian! Next up is one of the buried treasures, W. S. Lach-Szyrma’s “Letters from Mars.” Essentially didactic and talky, as it recounts a Venusian visitor’s reaction to the Red Planet, the story nonetheless captivates for its clear prose and imaginative speculations. More melodramatic and human-centric is “The Great Sacrifice” by George C. Wallis. The Earth seems doomed as a giant flock of meteors will strike the sun and trigger a blast of heat that will crisp the Earth. End times craziness prevails, depicted well. But then comes the Martian save! 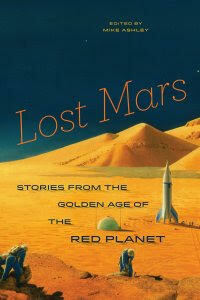 How to select one Bradbury story to represent his long love-affair with Mars? Ashley chooses “Ylla,” both for its point-of-view—that of the Martian natives, not otherwise found in the table of contents—and its relevance to “our attitude to refugees today.” The dynamics between Martian husband and wife strike me for the first time as a blend of 1950s soap opera naturalism with the truly otherworldly. “Measureless to Man” finds Marion Zimmer Bradley stepping into the shoes of Leigh Brackett, queen of the planetary romances. Andrew Slayton, of a human generation native to Mars, is part of an expedition to uncover the lost city of Xanadu. But instead he helps to discover the strangely surviving Martians themselves, risking his life and sanity in the process. The next two stories—”Without Bugles” by E.C. Tubb and “Crucifixus Etiam” by Walter M. Miller, Jr.—belong to what might be termed the “Mars Is Hell!” variety. As the true physical challenges of the planet began to replace the blithe assumptions of Edgar Rice Burroughs, writers went for a gritty, naturalistic approach, limning the rigors of colonizing Mars. In Tubb’s tale, it’s a kind of silicosis that wears men down, while in Miller we get atrophy of the lungs due to prosthetic implants. Both stories find some small redemptions in the sacrifices. That John W. Campbell was the editor of the grim Miller tale is testament to Campbell’s more cynical side. And finally comes “The Time-Tombs,” J.G. 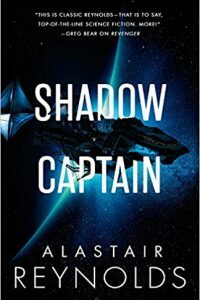 Ballard’s masterful evocation of melancholy and Freudian psychodramas as our antihero Shepley, living an outlaw’s life scavenging among the crypts of the Martians, falls in love with a “cyber-architectonic” ghost. This superlative set of stories shows us how the Red Planet has served both as a character in its own right—its physical realities conjured up vividly as a counterpart to Earth’s beneficent clime—and as a foil for the many kinds of drama that humans inflict on the landscape of any place they choose to inhabit. Whereas some of the technology will seem outdated or implausible—exactly why in Miller’s story do they employ human laborers instead of machinery?—the underlying dynamics of the heart, soul and intellect are all still vibrant and powerful. If you were to read the Ashley collection alongside the Martin & Dozois anthology Old Mars, you’d have the full range of old and new slants on this ancient and fascinating neighbor of ours.